Remember the Charlottesville matches, where one group on video was chanting, over and over, "Jews will not replace us." What if someone shows up at a tournament with that slogan on his shirt? I don't think the referee would allow this. He also probably wouldn't allow, say, profanity. I once saw a player wearing a profanity-laced shirt at a one-star tournament, and the referee allowed it, saying it was free speech. But I don't think most referees would agree. I once saw a player who had the "F" word written on the front of his left shoe, and "You" on the right. Nobody complained and I don't think the referee even knew about it. If I were coaching a junior against this player, should I complain to the referee? Probably not, but only because the distraction of bringing in the referee would probably distract my player more than the opponent. But I might mention something to the player or the referee after the match. Note that hats are not part of the playing clothing listed, and it says "other garments" shall not be work except with the permission of the referee. Most referees do not allow hats, so it's likely the referee simply won't allow hats, MAGA or otherwise. Of course, someone will then wear a MAGA shirt, and someone's going to get offended. If I were the referee, I'd allow the MAGA shirt, but not the MAGA hat - but then I'd have to be evenhanded about it, and normally not allow others to wear hats either. But what happens when, say, a bald player insists on wearing a hat? Or many-time U.S. Champion Patty Martinez, who wears a visor when she plays because the light from the ceiling bothers her eyes? Or a Jewish player who wants to wear a yarmulke, or an Islamic women who has to cover her head? Things get complicated. I know in the case of Martinez that she's normally allowed to wear the visor, but at least one referee at the Open or Nationals a few years ago wouldn't allow it. Islamic women are normally allowed to wear headgear in tournaments. I have a "Make American Smart Again" hat. If I wore that at a tournament, perhaps on the sidelines, would that offend anyone, since it's somewhat of a sarcastic response to a MAGA hat? "No part of the flag should ever be used as a costume or athletic uniform. However, a flag patch may be affixed to the uniform of military personnel, firemen, policemen, and members of patriotic organizations." And yet the online gift shop for the U.S. Olympic Committee sells flag shirts. How about this jacket, which I have in my closet, which I bought at the gift shop at the Olympic Training Center in Colorado Springs? 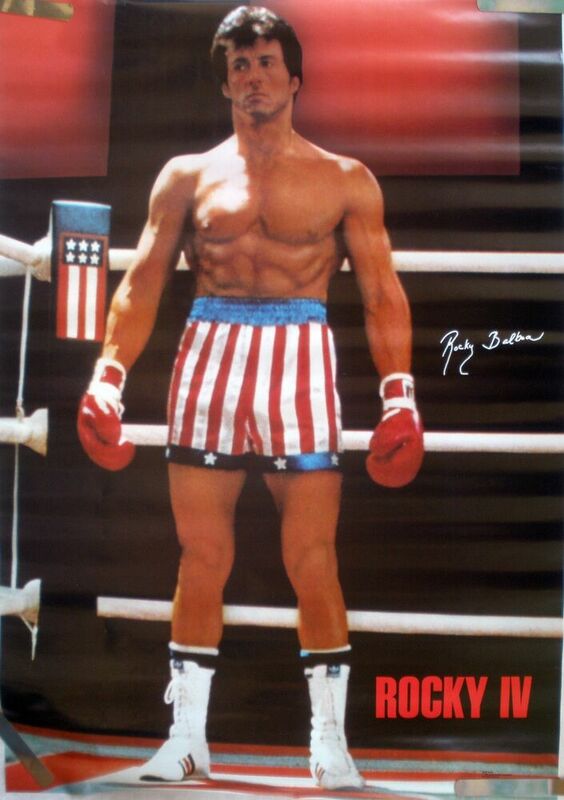 How about Rocky flag shorts? Or how about this picture of the 2018 Olympics USA Flag Bearer, and this one of a 2014 USA Olympic Team Opening Ceremonies Outfit? The code says, "No part of the flag shall be used as a costume or athletic uniform" - and those aren't just flag patches! I've managed to keep our Thursday and Sunday Beginning Junior Classes in synch. In both classes this past week we introduced them to spin, and in particular spin serves. I always start the class by having them volunteer to try to return the serves, so they have a good idea of what's going on before I start the lecture and demo. Then, as I always do, I break out the JOOLA spinballs, which are half white, half orange, and allow beginners to see spin. This way I can demonstrate the various spins and they can see how they react on the table. For them, it's like a magician show as I do backspin serves that come back into the net, sidespin serves that curve about and hit targets, and topspin serves that jump. Then I distribute the spin balls, one per player, and have them practice spinning the ball - spin and catch; spin and catch; spin and catch. The younger kids usually can't do this, and for them, I let them just bounce the ball up and down. After a few minutes of this, I collect the balls, demo some of the specific types of serves (forehand pendulum, forehand tomahawk, and backhand serves), and then do a recap of fast & deep serves (which we covered two weeks ago), and then give them the choice of working on spin serves or fast serves. On Saturday night in the Junior League (which is half league, half coaching) I worked with a number of players on doubles. In singles, a number of players were having trouble backhand looping so we did a number of league matches where players had to serve backspin, receiver pushes to backhand, and server had to backhand loop. One kid stayed later to practice serves on Saturday night (yes, Saturday night!!! ), and I worked with him for a time. He's a lefty and was working on breaking his serves wide to a righty's forehand. I pointed out that there are three versions of this he should learn - ones that double bounce short to the forehand, ones that bounce short but go off the side of the table very wide (so table is in the way if receiver tries to loop it), and ones that go very long, with a big break into the forehand. Different players have trouble with different ones, or have trouble if you vary these three. In the advanced Talent Development Program, as usual I did lots of multiball. Then I got to work with a number of the kids on serves - that's always my favorite topic, along with tactics. One kid is developing a really good backhand serve, but was hesitant to use it as someone had told him he wasn't tall enough to do the serve. Paddlesticks!!! But there is some truth to the idea that some kids have trouble doing forehand pendulum serves until they are older - for them, it's better to start out with a forehand tomahawk serve. One kid was developing that serve so I worked with him on that for five minutes. Here's the ITTF home page for the event that took place this past weekend in Lisboa, Portugal, with results, articles, pictures, and video. Here's the article, Major Upsets at the 2019 Seamaster ITTF Portugal Open. Here's the USATT news item. Here's the Butterfly news item. This is very sad news. I knew her pretty well from coaching camps and major tournaments. A lot of players never realized we had a coach and former player of such high level - and a great person as well. Here's a picture of her as the USA Women's Coach at the 1993 Worlds - she's front middle. (Husband and Men's Coach Li Zhenshi is back row, second from right.) Here's the non-Facebook version. Here's the USATT news item. Here's my January 28 blog on this. Here's the USATT news item. Want to be the next USATT CEO? Here's your chance!!! Here is election info from each. Here's the ITTF article on Vladimir Samsonov - still competing near the top at age 42! Here's the article by Lily Zhang. Here's the new video (38:15) from PingSkills, #272. Here's the ITTF article. "Staged immediately prior to the Liebherr 2019 World Championships, organized in conjunction with the University of Pecs and the Hungarian Table Tennis Association, the 16th ITTF Sports Science Congress will be held on Friday 19th and Saturday 20th April. The final submission of abstracts has been extended; the deadline date is Friday 8th March." Here's the article from the NY Newsday. Here's the article from Table Tennis Spot - with a great, colorful action drawing! Here is Chapter Nine of Tim Boggan's History of U.S. Table Tennis, subtitled "International News." Or you can buy it and previous (and future) volumes at www.timboggantabletennis.com. Volume 22 is 469 pages with 1447 graphics, and covers all the wild things that happened in 1996-97 - and I'm mentioned a lot! Why not buy a copy - or the entire set at a discount? Tim sells them directly, so when you order them, you get it autographed - order your copy now! Behind-the-Back Chop-Lob That Comes Back! Here's the video (58 sec) from Arnaud Scheen! This Ping Pong Kid Has Incredible Moves! Here's the new video (3 min). Here's the video (26 sec). Here's the video (25 sec)!